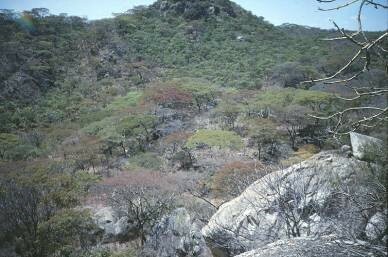 Situated in the Penhalonga district, this attractive area of Brachystegia (Miombo) woodland and broken granite terrain is some two hectares in extent and it was donated to the Trust by J. P. Valintine in 1966. 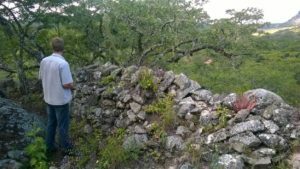 A small stone fort is located at the top of a hill on the property and is typical of the many fortifications in the eastern half of Zimbabwe. 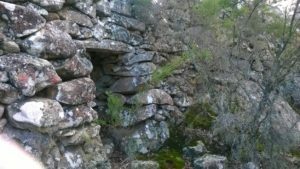 Part of the Nyanga Cultural Tradition these lowland forts were associated with the Shona Dynasties that postdate the Great Zimbabwe Culture. The settlement probably dates from the 17th to the 19th centuries A.D. 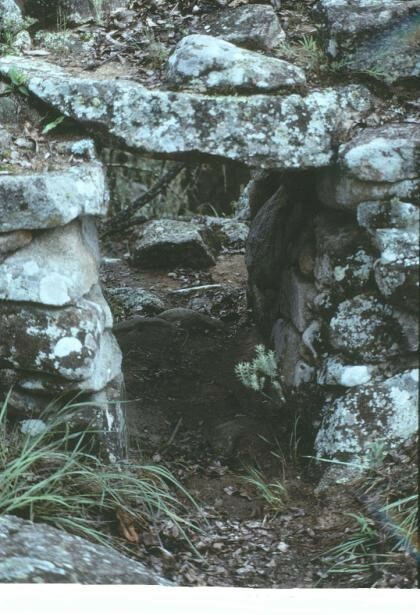 The first sight is the small wall enclosing the summit with a door with a stone lintel. 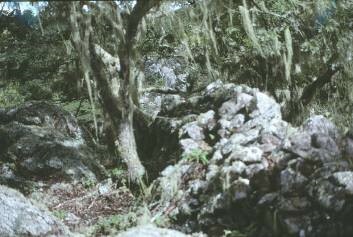 There is an abundance of Old Man’s Beard Lichen (Usnea) hanging from the branches of the Msasa trees (Brachystegia spiciformis) in the pristine Miombo woodland. 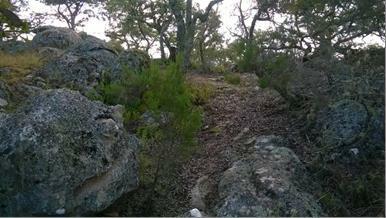 The summit has tree cover and would be pleasant for a picnic spot. 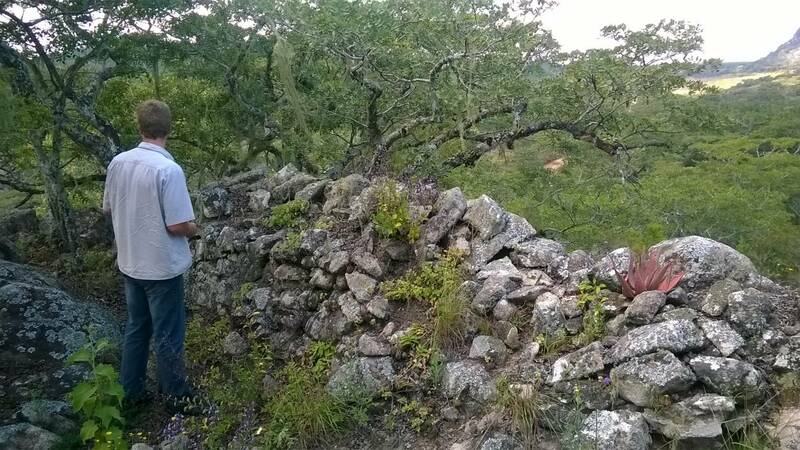 Sit in a small stone fort located at the top of a gomo (hill in Shona) that is typical of the many fortifications in the eastern half of Zimbabwe. Part of the Nyanga Cultural Tradition these lowland forts were associated with the Shona Dynasties that postdate the Great Zimbabwe Culture. 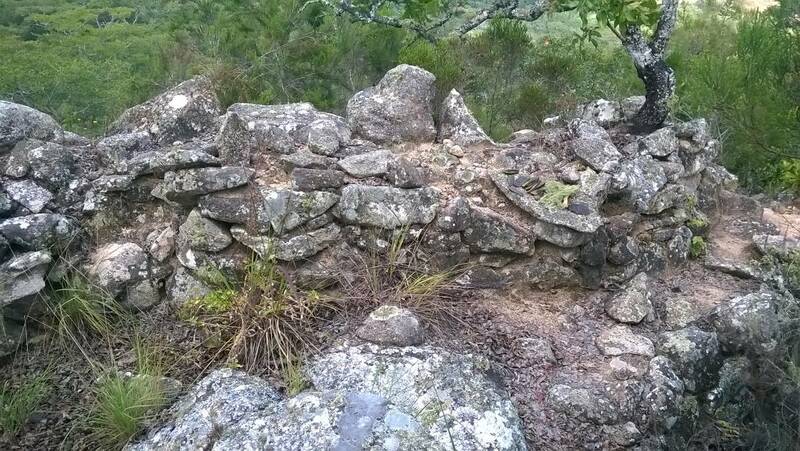 Be thrilled when you see the small wall enclosing the summit with a door with a stone lintel. 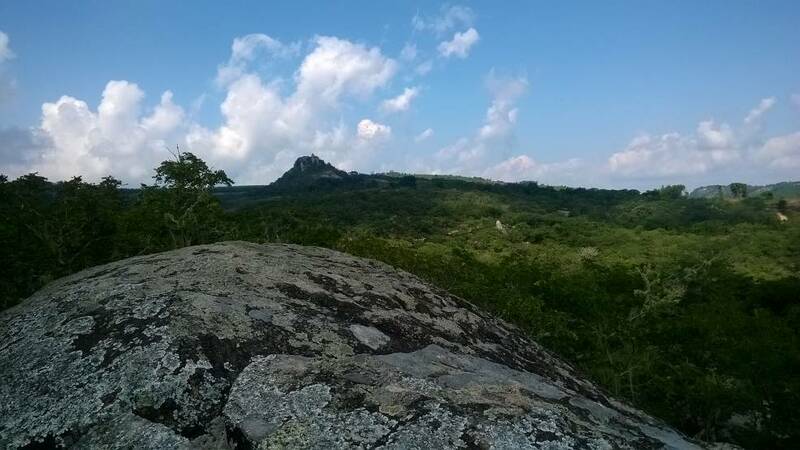 Walk over broken granite terrain and through wisps of Old Man’s Beard Lichen Usnea hanging from the branches of the Msasa trees Brachystegia spiciformis in the pristine Miombo woodland. Marvel at the 360 degree views from the summit and enjoy your picnic under the cooling the tree cover and be in awe of the cultural heritage of the settlement that probably dates to the 17th to the 19th centuries A.D. Walking, exploring the archaeological sites and picnicking. On the main road from Harare to Mutareturn left (north) opposite the Christmas Pass Hotel onto the Penhalonga Road. 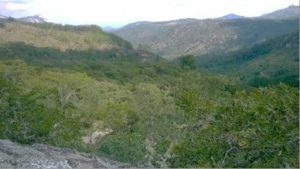 Pass through Penhalonga, and past the gold mine dumps and eucalyptus plantations, then drive for approximately 20 kilometres beyond to reach the turn off to Small Bridge Dam. Continue past the turn off along the main road a further 800m’s approximately to find a lay-bye on the left of the main road with concrete benches, where parking is available. Fort Gomo is situated to the front and right of the parking and across the road on a small rise alongside the road. Fort Gomo Kadzamu is open to the public every day. panoramic 360o view of the surrounding area. community, schools and tourists alike. Unfortunately, due to the lack of funding on progress has been made on this site in the last few years. A new Committee needs to be formed in order to implement the vision for the property to include a picnic area, an access road and a plaque in order to drive this project forward.